I recently ran across a wonderful blog called I Am A Child – http://iamachild.wordpress.com/. After viewing several of the paintings from the pages of art history of painting after painting depicting children, I recalled how much I love these images. We are blessed to have a five year-old with us in this season of life. Again, I can re-live the wonder and enjoy learning through her innocent eyes. 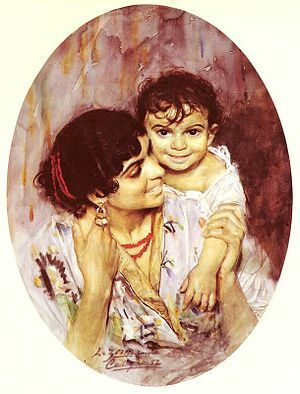 Painting portraits and scenes with children as the main subject allows me to soak in the treasure that children are and have been throughout time. I read a great book some time back called Heaven is for Real by Todd Burpo. Through the retelling of the author’s young son’s experience while acutely ill, a phrase was repeated over and over. He would say, Jesus really really loves children. This little boy came back from the hospital with memories of heaven, of relatives and many details that no one could have known otherwise. 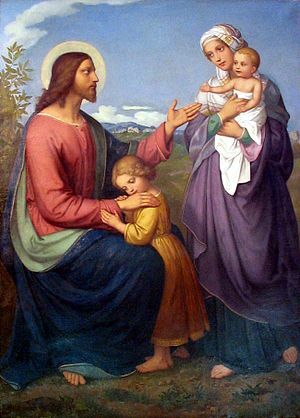 But in the weeks, months and years after the little boy was adamant about one point: that children are precious to Jesus. No wonder paintings of children strike such a responsive chord. 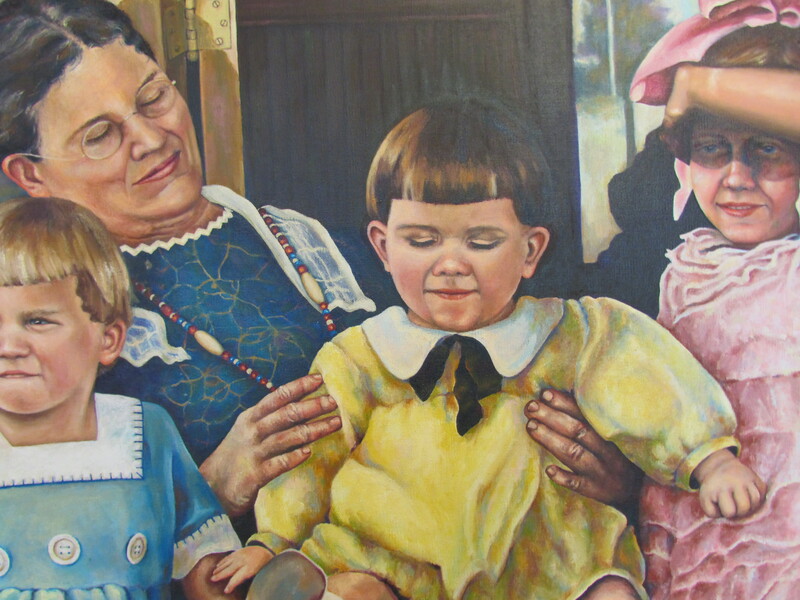 The children in the painting above were (left to right) my father, my Uncle “Charlie” and an aunt who died when she was only 15 – Penelope. They had just lost their mother – aged 23 – from the influenza epidemic that swept through in the early 1900’s. They sit with their grandmother – a candid pose – and I just wonder what is going through their young minds. Like the little boy said, Jesus really really loves children.